At the onset of snow and ice, your days of outdoor maintenance are pretty much over until spring. However, before you hang up your hat and take a seat by the fire for several months, doing a few projects with your pressure washer will do wonders for your home. It will also prepare your property for the winter weather and keep any potential hazards from snow and ice to a minimum. ProCoat Painting has been in the commercial painting business for over 30 years. When it comes to maintaining building exteriors, these industrial painters are the best in the business. Every technician is both OSHA 10 and MSHA certified and committed to keeping the buildings in the Batavia, OH, area sparkling. Gutters: Clearing out your gutters with a pressure washer ensures they’re prepared to handle the incoming weather. Gutters that are clogged or have standing water will freeze, resulting in them either pulling away from the roof or simply failing to direct water away from your home. Grill: Entertaining guests over the summer means your grill is likely pretty dirty. While you’re clearing the gutters, turn the pressure washer on the grill so there isn’t grime and soot encrusting it for the next several months. Bricks: This is one of those materials that is highly susceptible to corrosion. Mold, algae, and even animal droppings eat away at the integrity of brick. 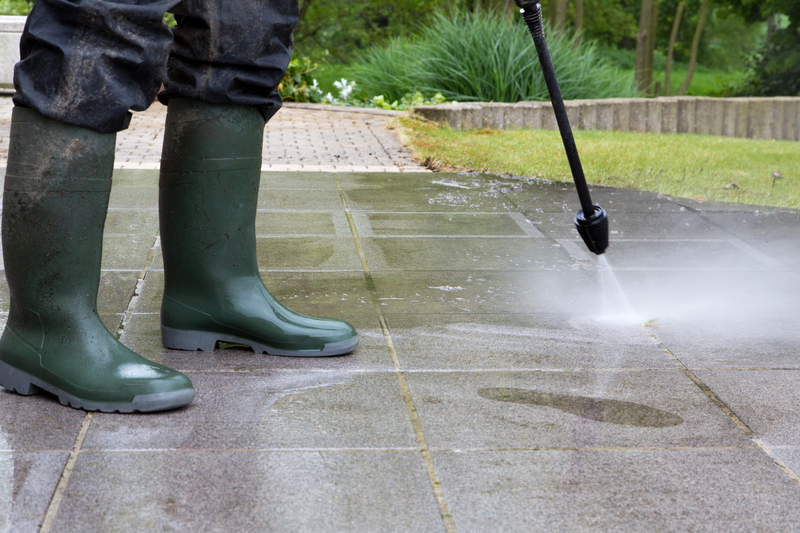 A pressure washer can remove all traces of debris, keeping corrosion at bay. Siding: Like brick, siding can slowly develop mold and mildew on the exterior. Clearing that away every year ensures mold doesn’t creep into the house, where it can cause health and structural damage. Deck: Like the grill, areas that aren’t going to be used until the weather clears up should be cleaned and prepped for winter. Removing any mold or algae that may have developed ensures it doesn’t continue to grow and doesn’t start growing again once the weather warms up. Doing a little prep work with your pressure washer is an easy way to cut down on extra work later and keep your property in good shape. For help, call ProCoat Painting today at (513) 735-2500 or contact them online to schedule your pre-winter pressure wash treatment.